WASHINGTON – The Department of Justice and the U.S. Environmental Protection Agency announced today that Chesapeake Appalachia LLC, a subsidiary of Chesapeake Energy, the nation’s second largest natural gas producer, will spend an EPA-estimated $6.5 million to restore 27 sites damaged by unauthorized discharges of fill material into streams and wetlands and to implement a comprehensive plan to comply with federal and state water protection laws at the company’s natural gas extraction sites in West Virginia, many of which involve hydraulic fracturing operations. The company will also pay a civil penalty of $3.2 million, one of the largest ever levied by the federal government for violations of Section 404 of the Clean Water Act (CWA), which prohibits the filling or damming of wetlands, rivers, streams, and other waters of the United States without a federal permit. The federal government and the West Virginia Department of Environmental Protection (WVDEP) allege that the company impounded streams and discharged sand, dirt, rocks and other fill material into streams and wetlands without a federal permit in order to construct well pads, impoundments, road crossings and other facilities related to natural gas extraction. The alleged violations being resolved by today’s settlement occurred at 27 sites located in the West Virginia Counties of Boone, Kanawha, Lewis, Marshall, Mingo, Preston, Upshur and Wetzel, including 16 sites involving hydraulic fracturing operations. The government alleges that the violations impacted approximately 12,000 linear feet of stream, or approximately 2.2 miles, and more than three acres of wetlands. The settlement requires that the company fully restore the wetlands and streams wherever feasible, monitor the restored sites for up to 10 years to assure the success of the restoration, and implement a comprehensive compliance program to ensure future compliance with the CWA and applicable state law. To offset the impacts to sites that cannot be restored, the company will perform compensatory mitigation, which will likely involve purchasing credits from a wetland mitigation bank located in a local watershed. The alleged violations being resolved by today’s settlement occurred at 27 sites located in the West Virginia Counties of Boone, Kanawha, Lewis, Marshall, Mingo, Preston, Upshur and Wetzel. EPA discovered some of the violations through information provided by the public and routine inspections. In addition, the company voluntarily disclosed potential violations at 19 of the sites following an internal audit. In 2010 and 2011, EPA issued administrative compliance orders for violations at 11 sites. Since that time, the company has been correcting the violations and restoring those sites in full compliance with EPA’s orders. 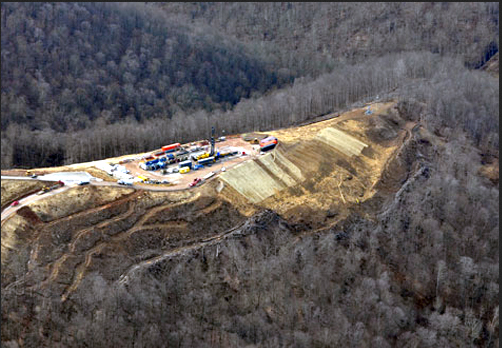 In a related case, in December 2012, the company pleaded guilty to three violations of the CWA related to natural gas extraction activity in Wetzel County, at one of the sites subject to today’s settlement. The company was sentenced to pay a $600,000 penalty to the federal government for discharging crushed stone and gravel into Blake Fork, a local stream, to create a roadway to improve access to a drilling site. The company has already fully restored the damage done to the site. Next PostNext This Just about Sums Up Obamacare….